Cox’s Bazar, Bangladesh: One year since over 700,000 Rohingya refugees were forced to flee from Myanmar into Bangladesh, the denial of their legal status, coupled with unacceptable living conditions in haphazard makeshift camps, continues to trap refugees in a cycle of suffering and poor health. 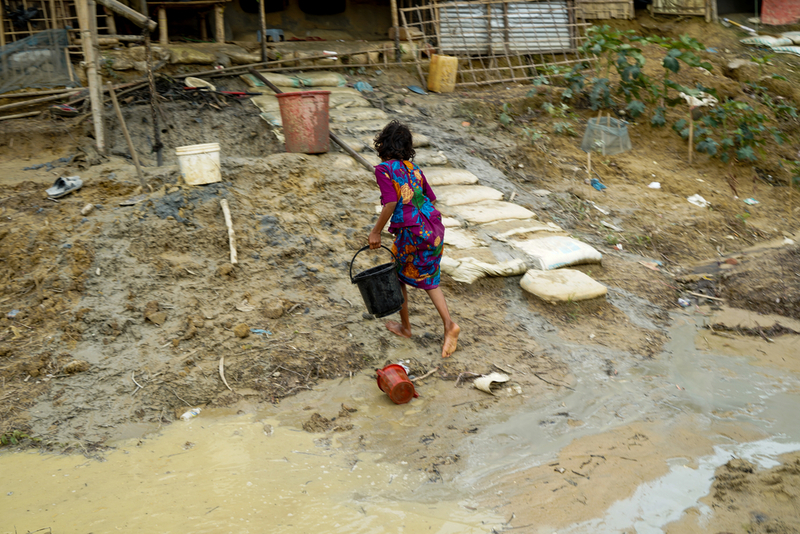 In addition, the UN-led humanitarian response in Bangladesh is, to date, only 31.7 percent funded. Within that, health care funding stands at a mere 16.9 percent, leaving significant gaps in the provision of vital medical services. 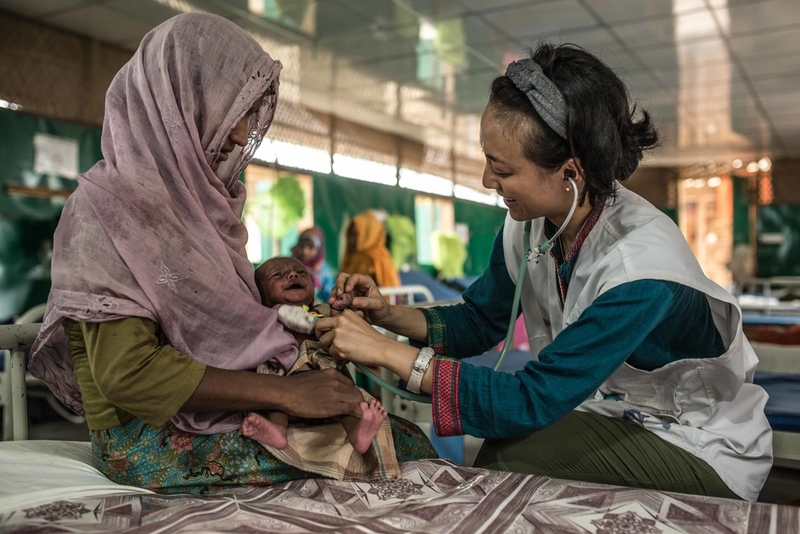 The Rohingya have long been excluded from healthcare in Myanmar, meaning they have very low immunisation coverage. Preventative health measures are therefore crucial. Vaccination campaigns, supported by MSF, have been instrumental in preventing outbreaks of cholera and measles, and in containing the spread of diphtheria. 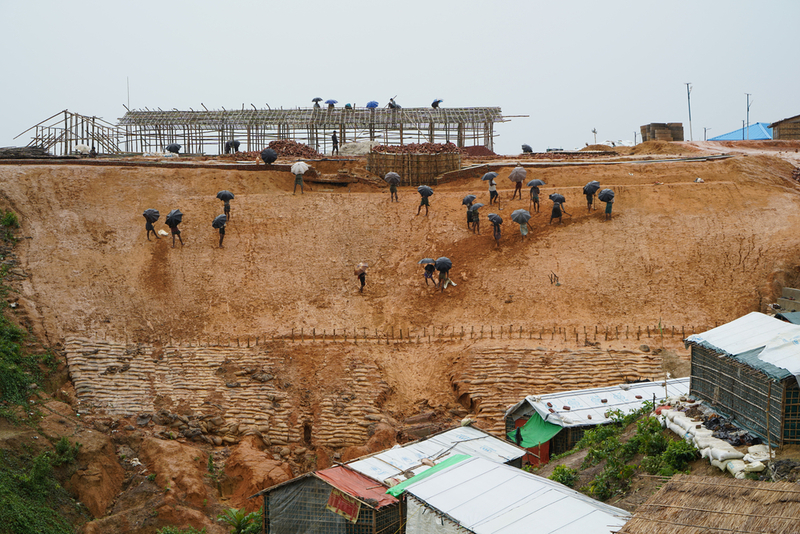 “In an area where cyclones and monsoons are common, there are almost no stable structures for Rohingya refugees, which has a tangible impact on their security and dignity"
Daily workers stand on a hill they are trying to fortify against collapsing under the heavy rains. More durable solutions must be found to respond to what is likely to be a protracted period of displacement.